2015 is the 8th year of me playing Yu-Gi-Oh competitively, and to start off the report I would like to do a summary of my road to this 2015 World Championship. With the exception of YCS Long Beach, which I ended up bubbling at 9-3 after being 9-1 due to some extremely bad luck (Being up G3 2500-100 on LP, and 7 cards to 1 in the last turn of time only to lose to a top decked Heavy Storm being the worst part). I topped all of these events, and even going on to win 4 of them. Being crowned world champion was the highlight of this run. Even though I averaged 4 events per year vs. 3 from 2008-2012, I was actually playing a lot less. I started attending events for the fun of it, with less than adequate preparation. This told by only topping 2 events, while losing on the bubble/due to tie-breakers in the other 6. The year 2015 started where I left off in the previous two. 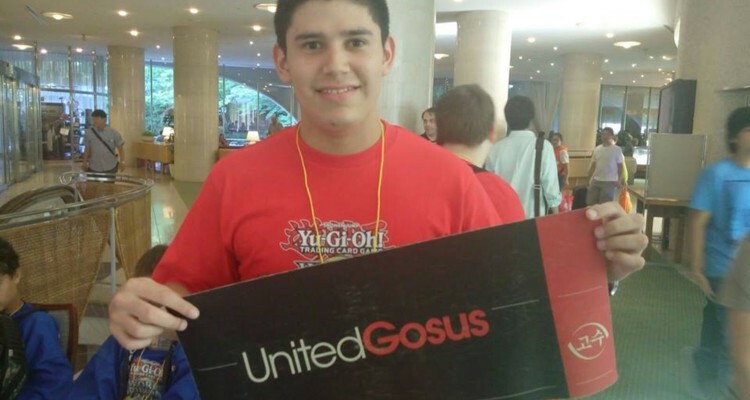 I attended YCS Guatemala with Nekroz, without even knowing how to do a simple Djinn lock. I ended up going 5 – 2 – 1, finishing within the top 32, however the top cut was top 16. Yet another failed half attempt. This is when frustration started to creep in and I realized that going to events without really trying, always gave the same result – decent, but not good enough. I decided I was going to actually give it a proper try, as I found motivation in the form of other players doing well, the United Gosus ranking system, and the hope to attend the World Championships in Japan. The preparation paid off as I went a combined 36 Wins – 3 Losses at YCS Colombia (2nd), Panamanian National Championship (3rd) & WCQ (1st). Two of the losses were to my friend Barrett Keys in the final of YCS Colombia in draft which was deserved as he was the superior draft player and in time in the semi-final of the National Championships, due to winning a very long game 1, I ended up losing g2 & 3 to single attacks due to being in time. This means that in almost 40 rounds, I had only taken one proper constructed loss. Was there luck needed to achieve this? Of course. Probably even more than anyone thinks, but I finally did myself justice – I prepared. I was ready for Japan. Preparing for Japan consisted of mostly theorizing ideas about the metagame expected and how to beat it. It was while doing this that I ran across of the idea of playing a Nekroz build that had game breaking cards vs. non-Nekroz decks (E.g. S/T heavy decks). The idea was simple, even though depleted, the Nekroz engine is very strong. Combined with the game breaking powers of Royal Decree and Fire & Ice hands, I had my deck. The risks were clear, I had a very bad game 1 against Heroes (the least expected of the big 4) and the mirror match (a dark horse for this tournament). Given this, I sided heavily against Heroes, to ensure I have a much better match up post side, and while I wouldn’t side directly for the mirror match, there were plenty of cards I sided against other match ups that could prove useful if needed. I tested a few matches here & there but the preparation mostly consisted of coming up with ideas and bouncing it around the friends & the UG family. The trip to Japan, although exciting, was excruciatingly long – almost 40 hours. On top of this, there was a 14 hour time difference between Japan and Panama. Needless to say, I was tired! Friday consisted of getting to know the players, and doing a little sight seeing. Some slight changes were made to the deck and handed it in. This means that the final version of my build wouldn’t see a single game until the first round of worlds – had I made the right call or a big mistake?